Once you have perfected your smile at our award-winning clinic, why not complement your smile with our bespoke aesthetic treatments? 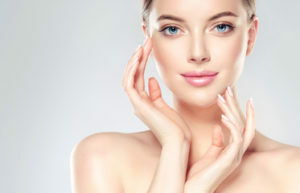 At the Berkeley Clinic, we have recently expanded our facial aesthetics team. Whether you are looking to plump up the volume with lip fillers or reduce your frown lines and crow’s feet with our specialist anti-wrinkle treatments, we have a wide range of treatments available at our award-winning clinic in Glasgow. Overtime we develop wrinkles due to a variety of factors, including ageing, sun exposure, poor diet choices, daily stresses and smoking. Even changing our facial expressions to smile or laugh can create lines and wrinkles. If you feel your face is ageing faster than you would like, non-surgical facial aesthetic treatments may be ideal for you. Muscle relaxant injections are becoming increasingly popular for several reasons. This non- surgical and non-invasive treatment is a great way to reduce any visible signs of ageing. Our treatments are performed by our highly-experienced practitioners using the best technology and tried and tested techniques. The gentle injections temporarily reduce and eliminate your fine lines and wrinkles by blocking the nerve impulses to the muscles that cause wrinkles and creases. This process takes no more than 30 minutes and your face will look rejuvenated right away! 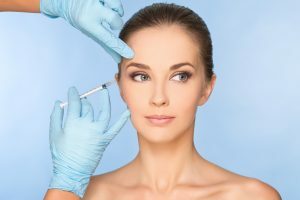 With lips being one of the most prominent features of the face you can see why more and more people undergo lip filler treatment. There are several reasons why people wish to enhance their lips with the main being to have fuller lips and a more youthful appearance. 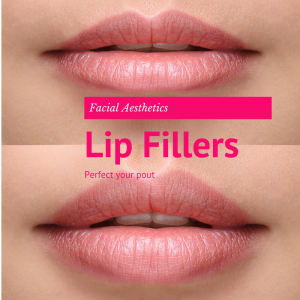 Lip enhancements are also popular as they add definition to your smile. So, if you are looking for a quick and easy way to restore the fullness to your lips with little recovery time then lip fillers in Glasgow could be for you! Book your free facial aesthetics consultation today! If you would like to know about all the fantastic treatments we have available here at the clinic, then get in touch today and we will take time to find the perfect treatment for you. Our wide range of bespoke non-surgical, aesthetic treatments will make you look and feel younger and refreshed without the need for invasive or complex procedures. So, call us on 0141 564 1900 and book your free consultation with our highly skilled aesthetics practitioner. Have you always wanted straight teeth? Many people long for a straight, even smile. If you don’t feel confident when smiling with your mouth open, or if you tend to cover your mouth with your hand as you speak due to your crooked or uneven teeth, then you may benefit from teeth straightening dental treatment at the Berkeley Clinic. 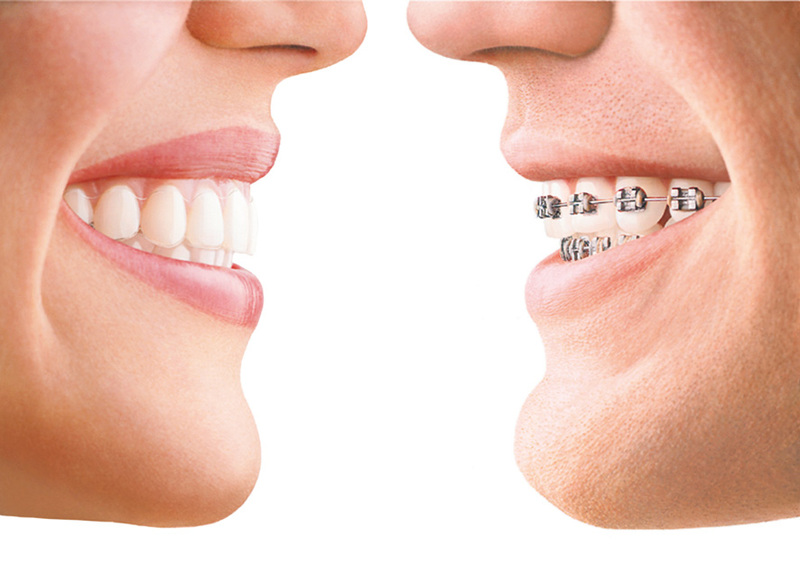 In the past, most teeth straightening options revolved around fixed braces. Fixed braces can still be useful in some cases, but newer and more modern treatments have been developed in recent years, such as Invisalign. Invisalign works via ‘invisible braces’; a set of clear, removable retainers that help to move your teeth into a more desirable position. The main benefit of Invisalign retainers is that they are almost impossible to detect. They are made from a transparent plastic that has been specially designed to fit your teeth perfectly. They are removed for eating and drinking, and then worn the rest of the time. They are ideal for anyone with a big event planned, such as a wedding, as they are one of the quickest ways to align your teeth. Invisalign helps to solve many common issues such as crowding, spacing, under and overbites. Invisalign provides quick and visible results, which helps to boost the morale of patients. Orthodontic treatment can be a little daunting, but here at the Berkeley Clinic we are on hand to provide you with all the information and support you need. There are lots of things to consider when starting teeth straightening treatment but our friendly staff will be able to advise what treatment is best for you. If you decide to go ahead with Invisalign clear braces treatment, we will make moulds of your teeth and will create an individualised plan. You will then be provided with a set of aligners. Some people only need a few, while others may need more, depending on the severity of any teeth issues. You will wear each set of retainers for approximately two weeks, and each new retainer will move your teeth into a new position. Invisalign is a simple and easy treatment. For best results, the retainers should be worn 22 hours a day, so that your teeth do not move back into their original position. If you are interested in Invisalign or would like to hear about the other teeth straightening methods we have available at the Berkeley Clinic then call us on 0141 564 1900. We are currently offering straight teeth consultations worth £99 for free so take the first step to perfect your smile today. Dental implants are the ideal way to restore your smile and to provide improved dental health. They are a great solution for missing teeth, and are a much more sturdy and long-lasting solution than traditional dentures or bridges. They can be used to replace one or two teeth, or more, and at The Berkeley Clinic we are able to completely tailor our treatment to each individual patient. Dental implants take into account the unique shape and dimensions of each and every mouth, to create a smile that is subtle and natural. The procedure will take place under local anaesthetic, so that it is completely painless and stress-free. The dental implants are formed by inserting an artificial root carefully and precisely into the jaw bone. Once it has healed and fused with the jaw, artificial teeth can be secured to the implant to create a beautiful, even, and secure smile. Some patients may only need one implant, while others may need two or more; in cases where a larger set of dentures is needed, several implants can be used to hold them in place to make eating and drinking easier. Many people may feel nervous about having dental implants, but The Berkeley Clinic’s friendly team are experienced with anxious patients and will help you to feel calm and relaxed throughout your treatment. The main benefit of dental implants is that they are tailored to each individual, and will create a smile that is aesthetically pleasing as well as practical and functional. Our dental implants are made from durable titanium, meaning that if they are placed well and properly maintained, 95% of dental implants will last for many years without needing further work or replacement. 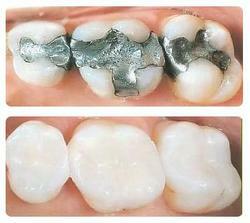 The titanium implants also make existing teeth stronger, helping to increase their longevity. Each implant can be adjusted, and the replacement teeth can be coloured to match your existing teeth, so that they sit cohesively alongside each other. 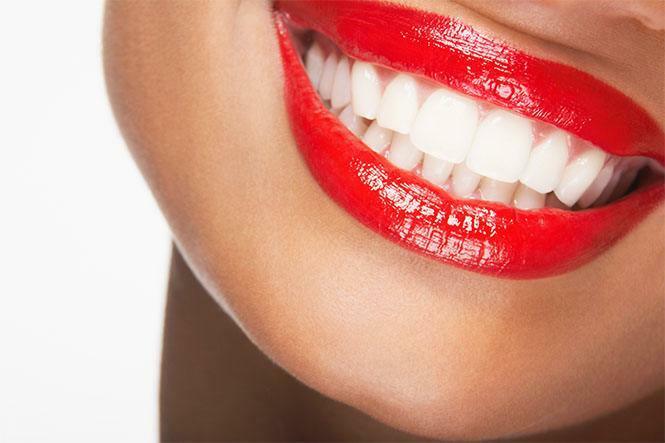 From dazzling white to more understated shades, your teeth will look completely natural. Dental implants also help to benefit overall oral health. Because they are permanent, they can be cleaned and flossed just like normal teeth. Why are Dental Implants Superior to Traditional Dentures/Bridges? Traditional dentures can be cumbersome, high-maintenance and may restrict the diet of the person wearing them. They can make chewing difficult, so that patients may be restricted to soft and liquidised foods. Dental implants fully restore the ability to chew and enjoy a variety of foods; so while looking great is a benefit of dental implants, many patients are even more pleased about the way they can expand their diet. They also help to manage bone loss and facial sagging, which are common issues for wearers of traditional dentures. Solving facial sagging quickly enables patients to look more youthful, with a replenished appearance. If you think dental implants might be for you then contact our friendly care team today to discuss your options. We are currently offering consultations at a reduced rate of only £99, so book your appointment and start smiling with confidence today. The temporomandibular joint (TMJ) connects your lower jaw to the skull. 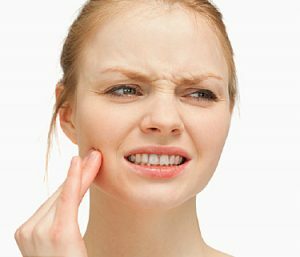 TMJ syndrome is pain and discomfort in the jaw joint that can be caused by a whole host of medical problems. Although many sufferers of the syndrome note a popping or clicking sound as first evidence of the condition, others suffer from more pronounced and painful symptoms. Many sufferers of temporomandibular joint syndrome have more than one symptom. Sometimes, these symptoms can be as simple as a minor clicking or popping sensation in the jaw joint. Other times, individuals may experience more pronounced pain in the head, neck and shoulders. As the condition becomes more painful and difficult to live with, individuals may experience more intense pain in the teeth when biting, headaches and migraines and sore muscles in the face and jaw while chewing. There are more visible symptoms to watch out for as well, including limited movement of the jaw, along with physical identifiers like the way the teeth meet when the jaw is clenched. Causes of TMJ Injury to the jaw or temporomandibular joint can lead to TMD. These injuries can range in severity, from a knock to the head to regularly clenching the jaw in an improper way. Essentially, any disruption to a healthy motion of the jaw can lead to locking or persistent pain. The balance of the teeth and jaw system needs to be healthy and maintained, otherwise individuals stand a strong chance of developing TMD. If you are experiencing symptoms and don’t go to your dentist to get checked and treated, then you risk worsening the problem. This can heighten your levels of discomfort and can result in the progression of more serious conditions. The Berkeley Clinic offers an innovative solution in the diagnosis of TMJ. At the BioPAK Centre, we offer an intensive and comprehensive way to investigate the health of your jaw and teeth and how they bite together. 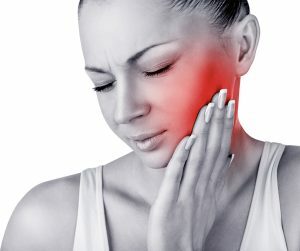 If you’ve been involved in a road traffic accident or suffered a serious injury to your face, suffer from regular pain in the back, neck and face, suffer from headaches or migraines or experience discomfort in the teeth when chewing, our diagnostic centre offers a reliable way of identifying the presence of serious TMJ disorders. We can use JVA (joint vibration analysis) to determine the condition of your jaw joint in as little as 20 minutes. If we note any issues, we’ll provide recommendations for further actions. If you’ve noticed that your teeth aren’t clenching together correctly, a T-scan is another option. At the BioPAK Centre, we can arrange a T-scan to properly assess your bite accurately, providing you with a fantastic foundation for tailored dentist treatment to restore balance to your bite. If your scan identifies that an injury has led to damage your jaw, we can provide you with a medico – legal report that can be used in legal proceedings. This is particularly useful for those looking for settlement with a Personal Injury Lawyer and provides a reliable dental perspective for your case. It is also important to note that there are certain exercises for TMJ pain relief you can do at home to help ease any pain caused by TMJ. These exercises are thought to relax the jaw, strengthen jaw muscles and reduce jaw clicking. They involve moving your jaw joints in certain ways, our expert clinicians can advise the best exercises for you. Mouth guards can also be used to prevent teeth grinding and jaw clenching and also to help realign your jaw. Additionally, you can take ibuprofen or hold warm towels or ice against the area, to help relieve the pain. Looking to book a consultation to get to the bottom of your TMJ problems? 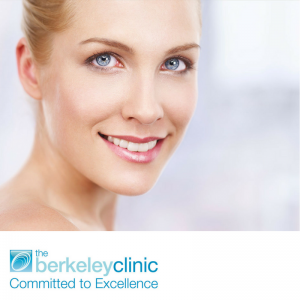 Book an appointment with the team at the Berkeley Clinic today. 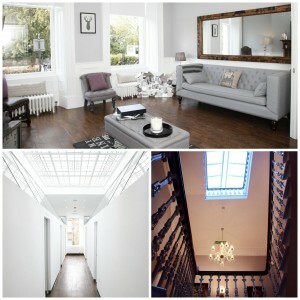 Call us to book a consultation on 0141 564 1900, or drop us an email via the online enquiry form. 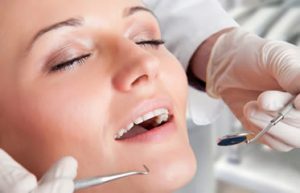 Do you suffer anxiety when visiting the dentist? Dental phobia and anxious patients are incredibly common place. Although some patients express reservations about visiting the dentist out of embarrassment, many more find even the simplest procedure incredibly stressful and emotionally taxing. At the Berkeley Clinic, we’re not only experts in dental treatment and cosmetic procedures, we’re innovators in alternative approaches to putting our patients at ease. At the Berkeley Clinic, we understand that dental fear can put off individuals from visiting the dentist for months, if not years at a time. Sometimes, the most unfounded of fears can lead to a minor dental problem transforming into a serious condition over time, causing more stress and hassle down the line. Unlike other establishments that rely on conventional anesthesia, we’ve pioneered a revolutionary selection of treatments and therapies to help put even the most anxious of patients at ease, meaning even the most involved procedures can be carried out with ease. We’re one of the only clinics in Scotland that offer patients with dental fear and phobia a full-service solution. Our clinical team aren’t just some of the best trained in the business, they’re also trained in alternative approaches to help put anxious individuals at ease. Dental hypnosis not only relaxes those who feel uneasy, it can also transform the way those with anxieties approach dental health in the future. Dental hypnosis has a wide range of benefits and applications, including but not limited to, anxiety management and relaxation, phobia management, pain control and more. It can also be used as a successful treatment of stress related conditions like recurrent Aphthous Stomatitis and TMJ dysfunction. Hypnosis can also be used to modify oral habits for the best, helping stave off damage caused by lifestyle habits like smoking, nail biting and more. At the Berkeley Clinic, one of our most celebrated approaches to reducing anxiety in our patients is Conscious Sedation. This method essentially involves the use of drugs to depress the central nervous system, relaxing the patient while still maintaining a high enough level of consciousness that the patient remains verbal and communicative throughout. There are three main types of conscious sedation, including inhalation, oral and intravenous. Inhalation sedation is one of the quickest and safest approaches, ideal for more basic procedures and a go-to for children and patients who might have issues with other procedures. Intravenous sedation is a more effective method and produces more rapid states of sedation. It’s often used with more involved dental procedures and despite some minor side effects like mild amnesia, it’s often lauded by patients who’ve experienced it. Finally, oral sedation involves the consumption of a sedative drug in liquid or tablet form. This can help diminish feelings of anxiety and dental fear. If you’re looking to overcome dental fear and pursue procedures to fix your smile or resolve a long-standing oral health issue, get in touch with the team at the Berkeley Clinic today. 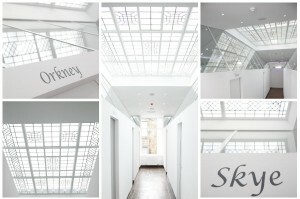 Get in touch directly at: reception@berkeleyclinic.com or call us on: 0141 564 1900. Alternatively, you can drop us a message via the online enquiry form. Posted in Dental Health | Comments Off on Do you suffer anxiety when visiting the dentist? The festive period isn’t just an enemy of your waistline, over-indulgence during the Christmas break can lead to major setbacks with your teeth and gums. If overhauling your oral hygiene regimen is at the top of resolutions for the New Year, why not see how The Berkeley Clinic can help you meet your goals. With an expert team of oral health professionals, we are your go-to destination for when you’re looking to get your teeth in order. Talk to the team today about our treatment plan, from teeth whitening solutions and smile makeovers, to Invisalign braces and dental implants for those more noticeable cosmetic woes. In the meantime, we’ve put together a few tips on how to make those first few steps towards a healthy, happy smile in time for the New Year. For decades, we’ve been told the benefits of flossing, but many have yet to take up flossing as a cornerstone of daily dental upkeep. Conventional brushing only provides you access to about two-thirds of surface area of the tooth, meaning there’s always going to be stray square inches that are left untouched and in need in desperate need of a clean. These unattended areas of the mouth are hotbeds for bacteria build up, particularly in the problem areas of the jaw where cavities are known to develop and gum disease is more likely to make a foothold before causing unsightly bleeding and painful inflammation. Problems within the mouth can lead to a whole host of problems away from the teeth and gums themselves, with a raised risk of heart disease, arthritic conditions and diabetes. Even just a short spell flossing can make a huge improvement, so fit it into any available space in your schedule and start perfecting your floss techniques from today. No matter how simple or substantial your dental hygiene ritual, it’s not going to make the difference you want unless you’re consistent. Make sure you’re brushing your teeth at least twice a day to keep on top of the minimum of maintenance needed to stave off more serious conditions from taking hold causing the need for specialist dental treatment. You’ll always want to make sure you’re brushing your teeth for a minimum of two minutes, every time you’re stood there in front of the vanity mirror. It can be all too easy to miss a few brushes in your schedule, but if you’re one who is prone to missing out on evening brushes, make sure this is a key area of focus. Bacteria can cause huge deposits of acid to form across the teeth throughout the night if left unattended, while a decreased rate of saliva protection while you sleep means there’s a perfect storm of conditions going on within the mouth that might lead to common dental complaints down the line. Give yourself a real shot at maintaining a beaming smile with minimal effort just by ensuring that evening brushing session is never skipped in the future. Sugar is a killer of healthy smiles. Not only does excess sugar stand as a key contributor to the build-up of bacteria, it can ultimately lead to the formation of cavities and start-up of teeth decay in otherwise healthy mouths. Cutting out excess levels of sugar is not only a smart move your waistline, the effects will be felt immediately within your mouth. Consider swapping out high-risk foods for new ones if you worry you’ll fail to maintain your new food plan and eating schedule. Speak to the Team Today! Here at The Berkeley Clinic, our expert team are committed to providing premium dental care and treatments to help support your New Year’s resolutions. Whether you need to discuss a consultation with one of our dentistry professionals or want to talk more about the dental plans and treatment packages available, we’re happy to talk. Speak to the team directly and drop us a line on: 0141 564 1900, get in touch online, or email us at: reception@berkeleyclinic.com. Posted in Cosmetic dentistry, Dental Health | Comments Off on New Year, New You ! Ask anyone what they would like to improve about their appearance, and a smile makeover will almost certainly be at the top of their list. A glowing set of teeth not only improves your overall facial appearance; it can be a real confidence booster and elevate your self-esteem. At The Berkeley Clinic in Glasgow, we offer an amazing range of cosmetic dental treatments at affordable prices. At our award-winning clinic, you will find a great selection of dental treatments. We are one of the most technologically advanced dental clinics in the UK, with state of the art equipment and machinery, with a top-flight team of some of the most experienced dentists and orthodontic experts in the country. We’ve fine-tuned our treatments for your convenience, giving you better results more quickly, saving you the hassle of undue discomfort and allowing you to enjoy the benefits of a brighter smile in no time at all. No matter what you don’t like about your teeth, you are spoiled for choice at The Berkeley Clinic. Are your teeth looking a little tired and discoloured? Consider our teeth whitening solutions for a quick fix solution that will have your smile looking brighter than ever. We also provide some of the finest orthodontics, dental crowns, veneers, dental implants and aligner treatments around. 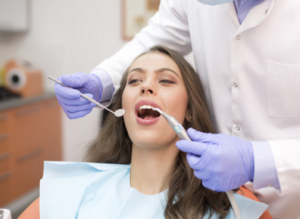 One of the biggest concerns for patients receiving dental treatment is that said treatment will affect the overall appearance of their teeth and gums. You’ll find several options at our clinic to help minimise the appearance of restoration and treatment, from white fillings and perfectly matched dental crowns, to gum reshaping procedures that will restore the overall appearance of your mouth to something altogether more natural. For a sure-fire way to improve the appearance of your smile, make sure you speak to our friendly care team to find out more about the options available to you. We’re experts in CAD/CAM digital dentistry. Here at our clinic, we utilise the CEREC 3D System across a range of treatments. This system is specially tailored to minimise the length of treatment required by patients, even for those suffering from more serious conditions. Even conditions like cracked or crooked teeth can be resolved in as little as one appointment by utilising this innovative 3D solution. For patient requiring dental crowns, veneers and reconstructions, the CEREC 3D System is an ideal way of ensuring replacement teeth and components look and feel as natural as possible. We’re one of the few clinics in the UK with their own in-house ceramic studios, making us the go-to for bespoke cosmetic dentistry in the UK. If you’re interested in achieving the smile you’ve always dreamed of, it’s time to get in touch with the team at The Berkeley Clinic. Call the team direct on: 0141 564 1900 to arrange a consultation or request more information. Alternatively, you can email us at: reception@berkeleyclinic.com. Need a little more guidance before you book a consultation? Why not use our online enquiry form to drop the team a message outlining your query. We’ll be back in touch with all the information you need in no time.